This year’s awards will confer nearly $315,000 to writers and translators whose exceptional literary works were published in 2017. 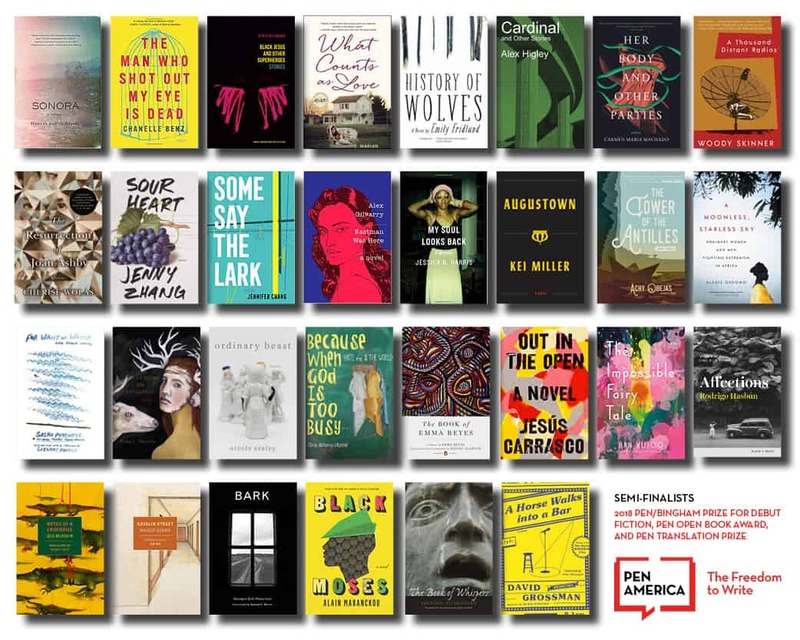 Spanning fiction, nonfiction, poetry, biography, essays, science writing, sports writing, translation, and more, these longlisted books are bound to help you fulfill your gift giving needs in time for the holiday season. The finalists for all book awards will be announced in January 2018. The winners will be celebrated at the 2018 PEN America Literary Awards Ceremony on February 20 at the NYU Skirball Center in NYC. Save the Date! To an author whose debut work—a first novel or collection of short stories published in 2017—represents distinguished literary achievement and suggests great promise. To an exceptional book-length work of any genre by an author of color, published in the United States in 2017. For a book-length translation of prose from any language into English published in 2017. For a book of essays published in 2017 that exemplifies the dignity and esteem that the essay form imparts to literature. For a distinguished biography published in 2017. To honor a nonfiction book on the subject of sports published in 2017.